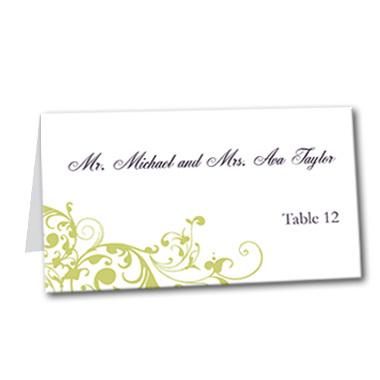 Relaxing vibes and an elegant feel are the hallmarks of this Pure Divine table card. Whether you're getting in touch with the divine nature of love, or you're just looking for a cool and unique design, this place card is for you. Gently scrolled and weaving leaves and curls add an elegant flourish. Pure Divine Table Card For the best experience, we recommend personalizing your stationery on a desktop computer.